Taxes are a constant in your business world. However, the only thing constant about tax laws and regulations is that they are constantly changing. To help you to stay on top of your taxes, Scott, Horewitch, Pidgeon & Abrams, LLC will provide you with the best tax services for your business. We offer our clients a wealth of tax knowledge that is reflected in our extensive experience. Ensuring your compliance and knowledge of applicable tax laws is one of our primary focuses. We will utilize our knowledge of current tax laws and our eye for detail to help your business to succeed in order to provide you with the most thorough tax services possible. Taxation For Business: By preparing your business tax returns throughout the fiscal year, we will ensure that your company is in complete compliance with applicable tax laws, and kept informed as laws change. We will advise you of any potential tax consequences when you are considering investment and business decisions. We will also represent your business before the Internal Revenue Service and the Department of Revenue if you are audited. Our services will also ensure that your business implements various tax-saving strategies that have the potential to save you a significant amount of money. Delinquent Taxes For Business: For a business that has fallen behind on preparing tax returns, we will provide you with the best highly skilled tax expert who will skillfully help your business to prepare and file your delinquent tax returns. If you or your business receive notification that your financial records are to undergo an audit, we offer tax services that a business like yours can benefit from. Our experienced and knowledgeable CPAs will represent you or your business in order to help you smoothly through the process. Scott, Horewitch, Pidgeon & Abrams, LLC offers quality tax services that businesses need to employ when facing the enormous task of efficiently running the business and ensuring complete compliance with the ever-changing face of tax laws. If you’re like most business owners, you have invested your time, money and energy into the growth of your business. You are committed to success. But with this commitment comes a high level of expectation you have for the people and systems you rely upon. Whether you are starting a new business or replacing your existing accounting system, we understand your concerns and offer the services you need to make the transition both cost effective and time efficient. Our QuickBooks training program provides a variety of financial and business management capabilities. We understand QuickBooks and how it can interact with your existing system. Together this combination enables you to increase productivity and efficiency in the management of your business finances. Our QuickBooks experts can design a program to fit your immediate or long-term needs. We recognize every business is unique. Therefore, it is important to set up QuickBooks for your specific industry, business needs, and goals. 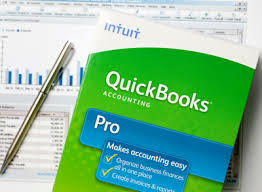 Scott, Horewitch, Pidgeon & Abrams, LLC can provide fast, effective and efficient answers to your QuickBooks® problems from installation and setup to QuickBooks® training and daily use. Monthly Operating Statements – Presents your monthly breakdown of sales, cost of sales and expenses; also called a Profit and Loss Statement. 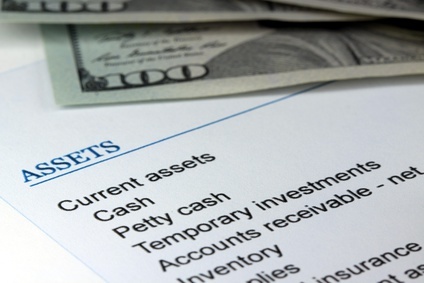 Balance Sheet – Summarize your total business assets, liabilities and net worth at a given point in time so you can make decisions about capital expenditures or how to improve profits. Bank Reconciliation – Careful comparison and proof of your bank account statement with your checkbook balance each month to ensure you are working with the correct total. General Ledger Report – A record of the dates, check numbers, payees and amounts of all expenses within each of your business accounts. Whether you prepare your records by hand, or using one of the computerized accounting systems, this report will provide you with the assurance that your reports have been properly prepared. Bookkeeping – If you own a small business and bookkeeping is not your “strong suit,” don’t worry. SHPA, LLC can help you prepare – or repair – your bookkeeping for the year and prepare your business and/or personal income tax return. Then we’ll help you set up an easy system that allows you to keep your books current so you avoid unnecessary anxiety and are much better prepared for future tax filings. Our accounting and bookkeeping services make your life easier. We will work with you to provide custom solutions for your accounting and bookkeeping needs. Together, we determine what services your company needs on a monthly, quarterly and yearly basis. The Internal Revenue Service requires us to inform you that any tax advice contained in this correspondence cannot be used for the purpose of avoiding penalties under the Internal Revenue Code or for promoting, marketing or recommending to another party any transaction or matter addressed herein.